This condition affects young children (boys more than girls) most often. In fact, it’s the most common cause of acute hip pain in young children between the ages of three and 10. However, there are reports of transient synovitis in children less than one year old and in adults. There is much debate about a possible link between transient synovitis and another condition called Legg-Calve-Perthes disease. 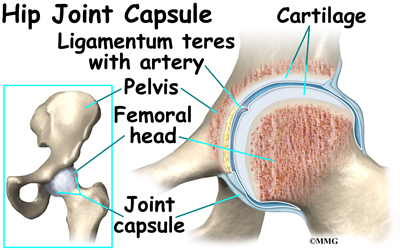 In Perthes disease, the blood supply to the growth center of the hip (the capital femoral epiphysis) is disturbed, causing the bone in this area to die. The blood supply eventually returns, and the bone heals. Only a small number of children with transient synovitis develop Legg-Calv�-Perthes disease. 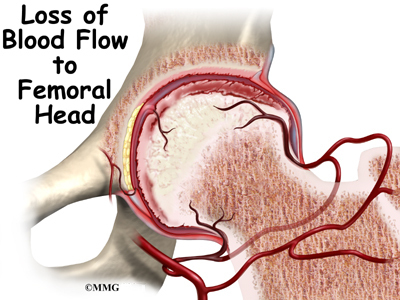 It’s possible the prolonged increase in pressure inside the joint causes loss of blood supply to the hip. Some experts suspect children who develop Perthes disease may have undetected transient synovitis before collapse of the femoral head occurs. Inflammation and effusion (swelling) can cause sudden hip pain. Usually only one hip is involved. The child may refuse to walk or may limp when walking as the first sign of a problem. Younger children who aren’t walking yet stop crawling or change the way they get around. They may cry at night or when having the diaper changed. 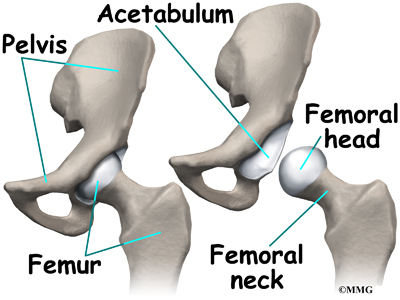 In all age groups, there is usually a loss of hip motion. The child doesn’t want to put weight on that leg. The painful symptoms may travel to the thigh, groin, or knee on the same side. Sometimes there isn’t hip pain but just groin, thigh, or knee pain. X-rays are usually taken. Though radiographs don’t show synovitis, they do help the physician rule out a fracture, tumor, or slipped capital femoral epiphysis (slippage of the growth plate). More advanced imaging such as MRI or bone scan may be needed if there is a need to rule out other more serious problems. A rehab program is not usually needed. Most of the time, this condition resolves (goes away) within a week or two. The child will naturally start to increase activity as he or she starts to feel better. The condition can come back. If this happens, it will most often occur during the first six months after it first appears. Follow-up with your doctor is important. If the symptoms aren’t improved or improving after seven to 10 days, then contact your child’s doctor. There could be something else wrong with your child’s hip. Further diagnostic testing may be required. Even if your child has recovered fully, a repeat X-ray is advised. This should be done about six months after the first episode occurs. It will help identify any early signs of Legg-Calve-Perthes disease.